The Backstreet Boys kicked off the final run of dates in their Larger Than Life residency at Zappos Theater at Planet Hollywood in Las Vegas Wednesday night, but were interrupted onstage for a special presentation. 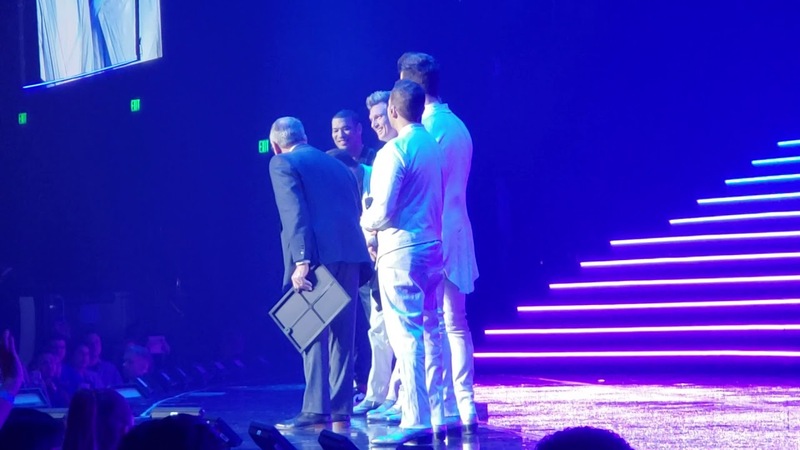 Clark County Commissioner Jim Gibson presented the group with the keys to the Las Vegas Strip, and declared Wednesday, April 10th as Backstreet Boys Day. This afternoon, the band will put their hand prints in cement inside Planet Hollywood, and at that ceremony, they’ll present Boys & Girls Clubs of Southern Nevada with a donation check. Since Larger Than Life began in 2017, a dollar from every ticket has been earmarked for the organization. And today just happens to be the 20th anniversary of the day the group’s signature hit “I Want It That Way” was released. The Backstreet Boys wrap up their residency for good on April 27th, and then head out on their DNA World Tour, which starts May 11 in Portugal.